Anyone know why all mobs 10 yalms away or more are turning grey? Yup that did the trick thanks! This is amazing, closest I've got to being able to play on Win10 so far. I ended up dualbooting windows 7 to be able to play, and I'm assuming because of the Direct X issues it runs well on win7 up to quadbox. Fan goes nuts but no slowdown on gameplay. I'll run at 29.1fps then drop to 22-24 for a second or so then back to 29.1. But it's quite frequently. I don't know a great deal about AA, MSAA, supersampling etc. It also sends my GPU fans into an absolute frenzy when dualboxing. I'm not too fussed about graphic quality, happy with just 1920x1080, tried changing multiple settings to see if I can sort it out but no luck so far. Windower: 1080x1040. Supersampling on. Bump mapping off. MIP mapping 0. UI Scale x1. dgVoodoo: Output API - Best available. Adapters to use - All. VRAM - 512mb. Filtering - AAx4. MSAA - App Driven. No Mipmapping ticked. NVIDIA Control Panel: AA Filtering/Mode - App Controlled. everything else using global settings. I hope this is enough information, hoping someone can point to why it's not running smoothly. Thanks in advance! Just have to say the response to get this working for everyone has been amazing. I was very easily able to follow steps and get this working on windows 10, with Windower without any issues. Currently running 1920x1080 and on a 1070 Card. All graphics turned up and there are very little hiccups aside from a few sections of town. Shadows off was a huge help as well. The only thing is the text is a little squished. I have the test set to uncompressed. will upload a screenshot later. But a big thank you to everyone that has previously posted, you made this a very fun and pain free process. Did someone have made a test with a laptop who have 2 graphic card, since mine have a classic intel graphic and a 970 GTXM. I did, mine got classic intel + 950 GTXM, and it works perfectly ! It's due to draw distance. Windower doesn't use the drawdistance plugin anymore, it's built into config. I just finish stuff for install but ... i can't see any player, just their name and aura, any idea ? Then you failed to follow instructions and downloaded the wrong version of dgVoodoo2. Read the first page as it plainly has a link and directions. How would I uninstall this? Go reread the instructions don't skim, don't paraphrase, actually read them. Start at page one of this thread. Been a busy month for me, started a new account after 7 years. Finally finished all the storylines so i have finally time to post this. Windower and 4k 60FPS/tweaks was already good, whit voodoo + reshade? 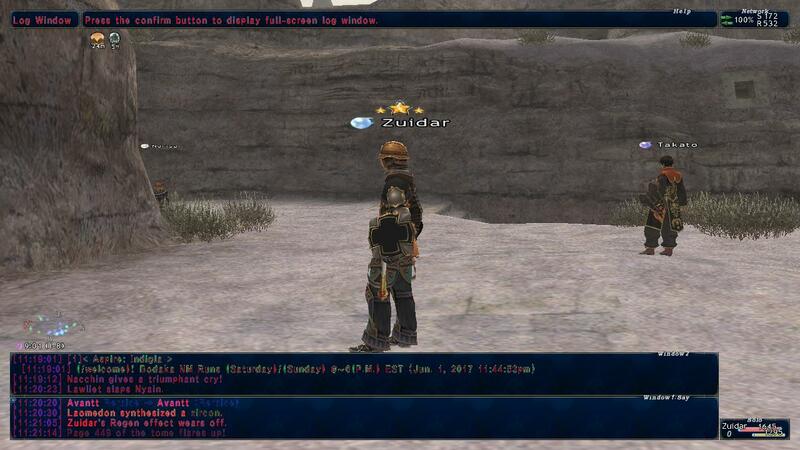 Basically FFXI Hd remake. INSANELY good, graphics and performance. No more fps drops in towns. I have uploaded a little sample on Vimeo, lost quality but still better than uploading on youtube. Take the last D3D8 in last WIP (35 atm) and not just the one from original download dgvoodoo 2.54. Run as admin and make sure you unblock everything. I've been randomnly crashing while just standing idle in Mhaura. Started about 1~ week after setting up dgvoodoo. Works great except for this. I've since removed the DX file from the playonline folder, no issues. I'm wondering what could be causing this. I'm running an i5-4590 and an AMD R9 390 on Win10. Yep tried that. No luck. I ran as admin and that allowed the changes to be applied in the control panel,however,when i play the game there is no change.Someone said something about optimus preventing it.I dont know anything about optimus,im no computer wizard ;). Memory setting and do you have shadows on? What graphics card are you using this with and what settings are inside the GPU drivers control panel. In case anyone else has this problem, changing textures to high in ffxiconfig fixed this. Also changed the map option to compressed with uncertainty of what it would change since having these settings at uncompressed don't work. Guess some people can have uncompressed but others compressed. Would like to add I am having excellent performance 3 boxing with a Radeon Pro 455 with vram set to 512MB and nothing else touched. Before I would crash like crazy but now I am very stable 3 boxing omen. Anyone know the command to typ to check FPS in the game?People tell me f12 but on my computer f12 is airplane mode,all it does is disconnect me ;( .But i set my card to NVIDIA in the NVIDIA control panel so i want to check FPS.